Crispy, Roman-style pizza by the pound. As if you need another excuse to head out to Highland Park, LA’s culinary godmother Nancy Silverton offers you Triple Beam. 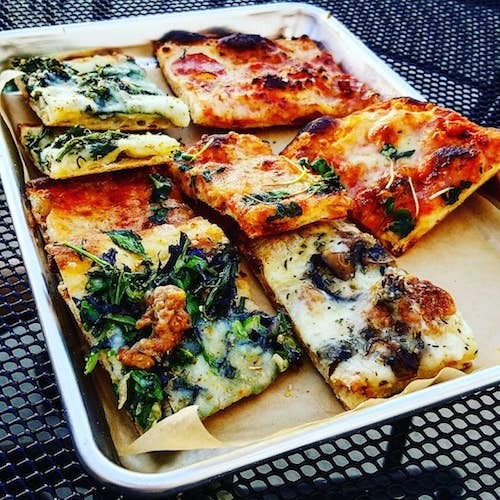 Silverton has teamed up with James Beard award-winning chef Matt Molina to serve up Roman-style pizza by the pound (yes, you read that right). These thin, crisp slices are as delicious as they are beautiful, even if they’re served the authentic Roman way: room temperature. Want Heat Check recommendations hot off the grill? Subscribe to our newsletter for fresh restaurant, bar, art and outdoors picks straight to your inbox every Monday. If you need another excuse to head out to Highland Park, LA’s culinary godmother Nancy Silverton offers you Triple Beam. 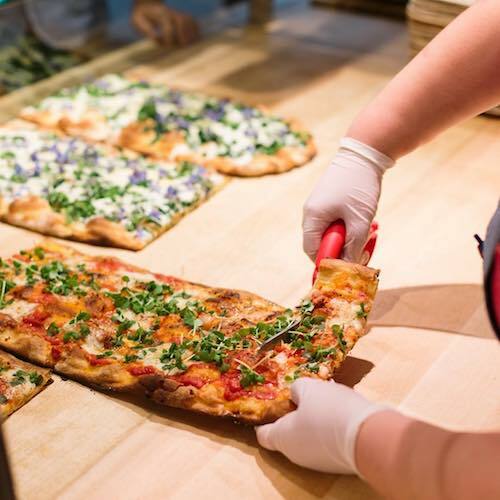 Silverton has teamed up with James Beard award-winning chef Matt Molina to serve up Roman-style pizza by the pound (yes, you read that right). These thin, crisp slices are as delicious as they are beautiful, even if they’re served the authentic Roman way: room temperature.